Two of the main reasons Harris’ blackness is being questioned are even more ridiculous than the need to ask such a question at all: She prosecuted black criminals, and her parents were immigrants (India and Jamaica). Oh, and let’s not leave out that she went to high school in Canada and married a white man. I don’t know how to draw an “eye roll” while typing or I would do so. As Palmer Report has pointed out on several occasions, any viable candidate for the Democratic nomination in 2020 is going to be belittled, harassed, and otherwise become the subject of attempted discrediting. So far, Harris is being hit with all three, but she is taking it all in stride. She gave hosts DJ Envy and Charlamagne Tha God a very gracious and telling response: “They are trying to do what has been happening over the last two years, which is powerful voices trying to sow hate and division, and so we need to recognize when we’re being played.” That about sums it up. She then moved on to further explain her “LIFT Act,” which she defines as “lifting folks out of poverty,” including her plan to give middle class Americans a $6,000 tax credit. 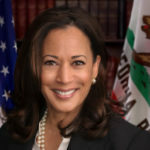 Harris discussed her record as a prosecutor and stated that she “makes no apologies” for pursuing and incarcerating violent criminals, race aside. She also supports the legalization of marijuana, and poking fun at former President Bill Clinton, admitted she smoked one joint and that she “did inhale.” Continuing to shut down her critics, Harris also doesn’t apologize for marrying her husband, who just happens to be white. Harris shares that he’s the one she chose, she loves him, and he loves her, and that’s the end of it. Now, can we move on to what we stand to gain with Harris in the 2020 race? Given what we have endured for the past two years, that’s all most Americans want to hear. Technically, Kamala Harris isn’t black; she’s biracial. Society, however, will label her as “black” just as it did and continues to do with former President Barack Obama. None of that matters. What she would bring to the table as president does. 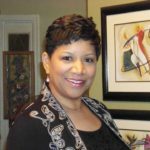 A snapshot of her record on several contentious issues can be found at ontheissues.com. This site may give hints to her platform and certainly shows where she stands on the issues of today. In the meantime, we have to ask ourselves why qualifications continue to take a back seat to race, as well as other non-issues, which shouldn’t matter at all.